With typhoon Ompong expected to cause widespread damage to Philippine agriculture, things are definitely not looking bright for the economy. Ompong's impact could make it harder for the Duterte administration to fight rising inflation, which hit 6.4% in August 2018, the highest in nearly a decade. 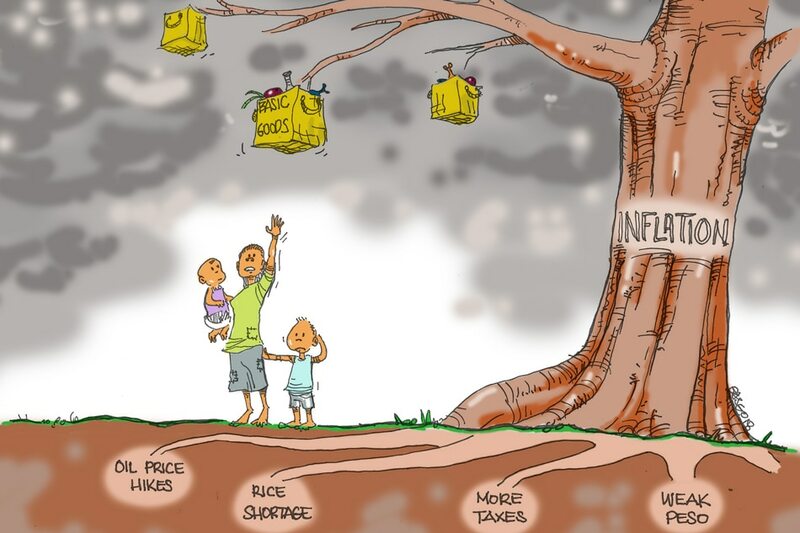 Ideally, inflation should be kept between 2%-3% so as not to negatively impact the fight against poverty and hunger. Rising oil prices, the shortage in NFA rice, higher taxes from TRAIN 1, and the depreciation of the peso have combined to make inflation a concern among the people and policy-makers. We join others in praying for the people's safety in the midst of another natural calamity.